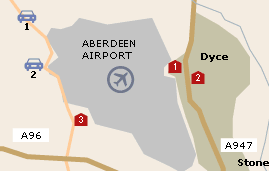 Airport Parking offers a wide range of options for parking at Aberdeen Airport. With both on and off-airport options, there will be something on offer to suit every need and budget. For a quote please click here. So as well as being a more convenient option, it may also be easier on your finances. To view the hotels on offer at Aberdeen Airport and get a quote please click here. Information desk which is in the check-in hall - you can also ask for Lost Property here. Trolleys are available at points throughout the terminal and car parks. 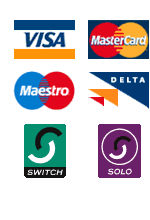 Cash dispensers can be found on land side and airside and will accept all UK bank cards and most major credit cards. Wheelchair accessible taxis can be booked in advance on +44 (0)122 472 5500. Disabled parking is available for badge holders. Disabled toilets are located throughout the building. There are several reserved seating points in the building with low level information monitors, arm rests and space for wheelchairs. For partially sighted passengers, all airport signage is in black on yellow. There are baby care facilities throughout the airport. By the information desk, in the disabled toilets in international departures and in the ladies' toilets in domestic departures. All restaurants are child friendly, and have children's menus. There are a number of shops, both before and after security. Airside - World Duty Free and Alpha. Landside - Food Hub and Café Barista serving a hot and cold drinks and snacks; J & R Tennant serves alcohol and pub food.